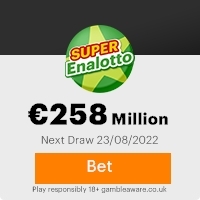 We are please to announce you as one of the 4 lucky winners in the Euro Millones Lottery International Email Address draw on the 30th of March 2007, due to the mixture of names and address the result was released on the 10th April, 2006. All 4 winning addresses were randomly selected from a batch of 50,000,000 international email addresses. Your email address emerged alongside 3 other as a second category winner in the Euro Millones Lottery Draw. 2. You must contact the appointed agent with your Full Names, Contact Telephone Numbers (Home, Office and Mobile Number and also Fax Number) via email or following telephone number 0034 637 882 526,to process the immediate payment of your prize. This Email with the Subject "CALL YOUR AGENT AND BEGIN CLAIM" was received in one of Scamdex's honeypot email accounts on Tue, 03 Jul 2007 03:10:34 -0700 and has been classified as a Generic Scam Email. The sender shows as manuela zapatero <manuela_zapatero@web.de>, although that address was probably spoofed. We recommend that you do not attempt to contact any persons or organizations referenced in this email, as you may expose yourself to scammers and, at the very least, you will be added to their email address lists for spam purposes.